Cascade Engineering President of CBT, Christina Keller, pulls the 30 millionth cart from the production line on May 30, 2018. 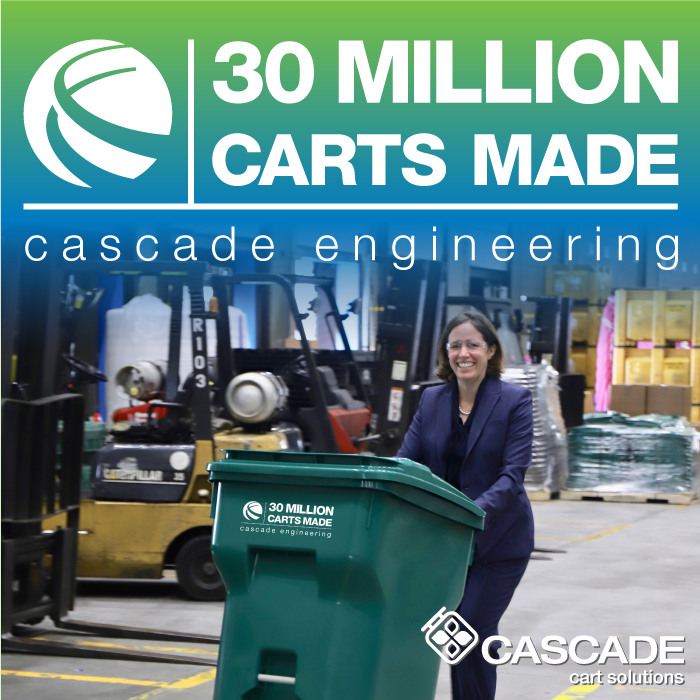 On Wednesday, May 30th 2018, Cascade Engineering celebrated 30 million Cascade Carts produced. CBT President Christina Keller and Vice President Jo-Anne Perkins MC'd the milestone celebration, with employees of 25+ years sharing stories from their time with the Cascade Carts team.